I’ve been taking TeloGenesis religiously every day since the day I received my shipment, and today is the last of the first 30 days (one capsule left in the first jar!). I had no real expectations about what I might experience with this. I have noticed an increase in energy, more creativity (very important since I’m a professional writer and paint as a hobby!) and more personal energy. There have also been mood improvements, and a more positive outlook in general. I like the product very much. So far, the results are great! Telogenesis has created a new boost for me. After 3 months increased my weight loss, boosted my Active stem impact in energy, and made a difference in my sleep patterns. Overall feeling much better joint wise and after exertion with my horses, pain is limited. Awsome results for me. Have been taking TeloGenesis for about four weeks now and am finding I have more energy and more get up and go. Also sleeping better and don’t seem to have as many aches and pains as before. Feel better than I have in awhile. Coming up on my 70th birthday and feel like I did twenty years ago!! Kudos to TeloGenesis!! Now using my second bottle. Have found an enormous improvement in my sleep pattern. It is much sounder, deeper and more refreshing!! Since I started using Telogenesis about two months ago I have definitely been feeling more alert during the day. I also find myself sleeping better and waking up more refreshed. Still playing hockey twice a week at age 67 and don’t feel the aches and pains the way I used to. Thanks Telogenesis! Going on my second bottle i can go to sleep faster and more alert in the morning . I am totally amazed with this product! My sleep was beautiful. I woke up alert not foggy. Aches and pains gone. However, I am on a tight budget so I can only order every now and then! Working on my budget so I can reorder! Anyone who reads these reviews this product is absolutely amazing! I am 60 young and I can out work anyone younger than me! Including some 20 year olds! No joke! Amazing product! A must have! I feel good about it and when I accidentally missed a couple of days I noticed the difference. I am 78 and essentially pain free and I hope to continue like that. I have been taking Telogenesis for about 2 months. I have seen a remarkable improvement in the stiffness in my hands. I could not open a bottle of water myself and I had pain in my joints when I worked out. My hands were swollen and I could not get my rings on. All of these things have improved. I have been very impressed with the results. No question that since starting Telogenesis about 2 months ago I am feeling much less exhausted and more capableof doing all the things I want to- 8 acre garden with orchard and numerous fruit trees playing lots of golf ( handicap reduction !) Sleeping deeper and waking up refreshed after 7hours instead of 9.Of course the wonderful summer weather is also a factor,as is taking Midogen, Vit D& Mg++ Telomeres?? 5 out of 5 TeloGenesis is wonderful stuff! Thanks to TeloGenesis my brain feels like it belongs to my younger self again, and the rest of my body is following suit. To me it has been a Godsend! Thank you Dr. Rand, and LCR Health, for making these ingredients available to us in this lifetime. I’ve tried bunch of supplements that made a bunch of promises few have delivered. I felt the same way about TeloGenesis when I decided to try it and I am still amazed at how I feel. I can’t explain what it is but something is different and positive. What I have noticed like many of the others is sleep is earlier, longer and better. I’ve haven’t worked out in about two weeks and will start soon and can’t wait to see what happens then. I’m all in with this product. WOW! What a difference. Thank you. I am noticing more energy and sleeping better. I hope to see more of this the longer I use it. I am also taking Midogen along with it. I just made a 16 hour drive and my only pain was some neck fatigue at the end. Previous trips have been a real drag and I attribute this to the Telogenesis and Midogen. I also think my mental capacity is improving. Thank you Dr. McClain for doing the research to make these supplements possible. Ever since I started taking Telogenesis I feel like I got the energy level I experienced in my 30’s. I am in the mid 70’s, but I managed to reorganize my office and the house and cook and go out for a walk. I was always energetic and I did not like myself dragging to do things, so when my old energy returned I really welcomed it. Great results for me in about 3 weeks time. Thank you. I was skeptical. If it sounds too good to be true it probably is. I will say after a month I do feel I have less fatigue and more of a positive attitude. I will continue taking Telogenesis and we will see what happens. Feeling great, I’ve been taking telogenesis, for almost 1 month. I am amazed at the way this product makes me feel. I forgot to take it one morning and I thought I would feel sluggish that day at work, but I didn’t. You best believe when I got home, that night I went right in to get it. I’m sold on this product. Used it less than 1 month but can already tell and feel a difference. Looking forward to continuing the Telegenesis because I have improved energy and I’m thinking clearer. 2 days short of 1 month but after about 2 weeks I had increase in energy and better over all mood. Have 2 month supply left hope for continued improvement. 66 years old with multiple forms of Arthritis. I have been taking TeloGenesis for about 10 weeks and am amazed I have been able to paddle my kayak for 4 hours instead of my usual 1 hour which has been so enjoyable. I will be 70 next birthday so am really happy to do this review. My only negative is that it seems to cause a bit of reflux in my case. I have been dealing with a skin issue for at least 8 years. Up until now the only thing that would make it go away or lessen would be steroids. I have finished my first bottle of Telogenesis and am already seeing a reduction in the redness and the bumps (for want of a better word). I am in the process of ordering more. Thanks so much for making this available. Energy levels and the ability to multi task have definitely seen an increase. Very pleased, as a ninety year old, to now be only getting up in the night three times, rather than the five to seven times I used to. Have more energy now when hiking or doing work in my yard, and have only used this miracle product about three weeks. Great work! I still enjoy the same good health I’ve always had. No aches, pains, fogginess in memory, sluggishness in the afternoon. I continue to feel 40 or so. Oh yeah, I’m 65. No one believes me when I tell them though. Very shortly after starting Telogenesis, I noticed changes for the better. When I move around, my body just has a new zip to it. Tasks that may have left my 58 year old body slightly sore are simply no longer there. It’s kinda like I feel as though I were ten or more years younger. Even my friend noticed my stamina improvement on a recent project. Super pleased so far. After taking telo for about a week , i began to notice a big boost in my energy level, i found myself looking around for something to do, i was amazed. what’s next. I use many of your products and my overall energy and general feeling is excellent. I am 79, I work in a grocery store 30 to 40 hours a week and play golf sometimes after work. I am never tired. I recently had a complete health check up and the results are good. I take telegenesis daily. 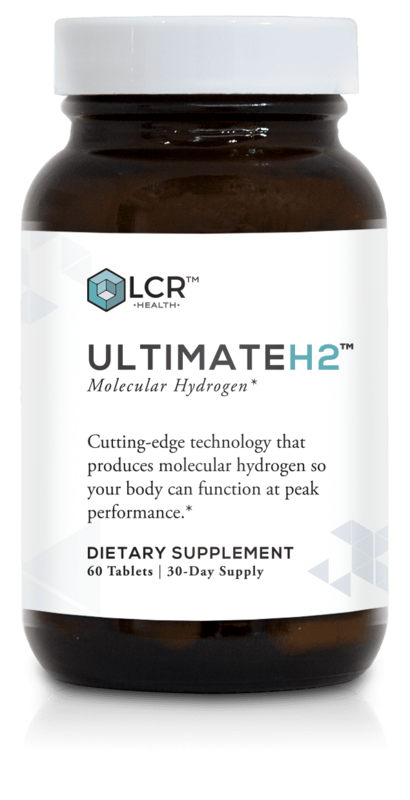 I also really like the hydrogen supplement. I have been taking your supplements for several years. 5 out of 5 Telogenesis is worth it!! This stuff works! Been taking it a month and I notice a definite difference in how I feel… not a sensation of “I can lift my car off the ground” or “let me try to bench press 800 pds today”, but there is a definite difference!! Feels good; and, for me, it seems to amplify all the other supplements I take( and I take a bunch of them!) I bought nine bottles and was wondering whether I had made a smart purchase… I can now say YES to that question!! I have taken it only a short time – I can tell you I feel stronger in my legs, not weak. Thank you. 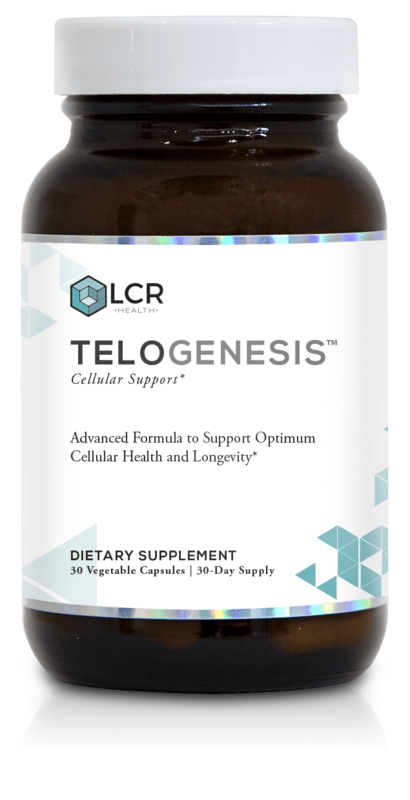 TeloGenesis seems to be integrating well with my current LCR supplement regimen. Experiencing improved mood, energy and endurance. People consistently guess I’m younger than my current age! 5 out of 5 Energy boost! Notice an improvement in my mood and overall feeling of well-being, but perhaps the most significant benefit is more energy and ability to focus on tasks. Great product! 5 out of 5 Feeling great! I have been using Telogenesis for about 2 1/2 weeks, I’ve experienced a energy level that seems to maintain throughout the day. I have been taking TeloGenesis for a month now. My brain fog has dissipated; my sleep seems deeper; and, the little aches and pains have vanished. TeloGenesis is a keeper! I have notice my joint’s don’t hurt as before i have more energy. Too early in the process to fully know the potential. Only been taking Tele for a week. Will be better able after a couple more weeks. Already feel more alert & energized. Outdoor activities are easier. Thank you for following up with your clients. It’s rare these days that companies care about anything after the sale. It shows the difference with LCR. I took it for one week and one day and all the sudden I noticed everything just seemed clearer and in a different energy. I have gotten improved sleep and no sleeping pills. I’m feeling better and thinking clearer. Now on day 13, I will keep taking and keeping a journal. Think I’m gonna like this product, my boyfriend said he’s noticed a happier me and sharper conversations. I feel very creative, and as an artist this is so important. I have struggled with bowel and stomach issues since I was eleven. In my late 30’s I developed psoriasis. Going gluten free has helped tremendously but I still struggle with the symptoms and flare ups. Since starting Telogenesis less than a month ago I’ve already experienced less symptoms and the plaques and itching are reduced. I’m amazed and so greatfull for these results. Keep up the amazing work you do! I have been taking this for only one month. I am an aging athlete trying to regenerate. Will be 60 next month. I do notice a difference in my endurance while jogging. 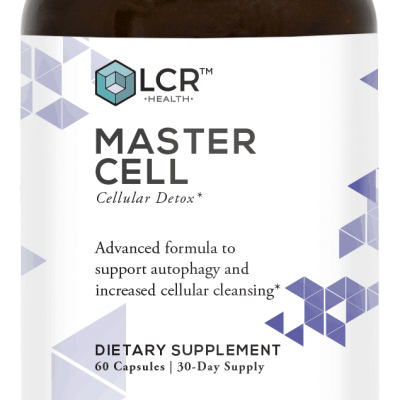 I take many LCR Health products. I definitely feel I benefit from taking them. Don’t quite know which one is doing what, but, do have more energy and stamina. Wish I could break off the plateau weight wise. Alessandra Lior, Lafayette, CO. In my first month of taking telegenosis and have noticed at the gym I am lifting around 10% more weights with more reps and less recovery time too. I’m not sore for a couple of days either. Keep up the R&D! One month in and I feel better, I have more focus, energy and drive. Less stress, and it helps me get through all of my tasks that I have set for the day. Thank you. 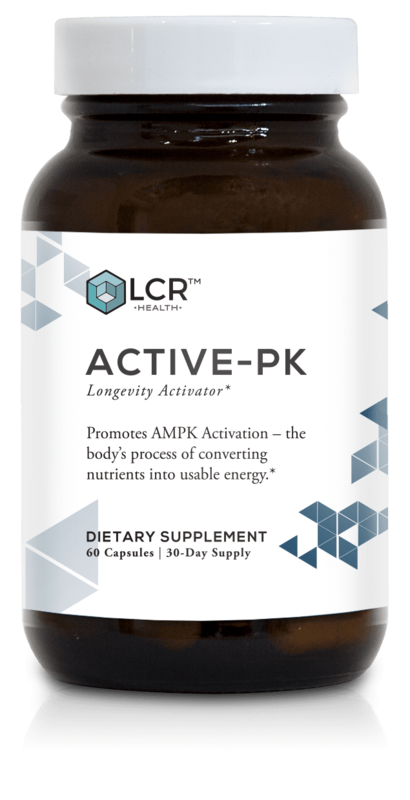 Taken for about 2 weeks with other LCR products including MIDOGEN,GP-SLIM,ACTIVE-PK.I have more energy at work and less aches and discomfort from physical activity. I have noticed a better and deeper sleep pattern recently. Weight loss has been gradual and steady with no feelings of hunger or cravings. Recovery time from strenuous physical activity is more than half of what it usually took to fully recuperate! Superb products!